Compared to many of my colleagues, I’m not super technical. I don’t know how to code. I can’t tell the difference between a router and a modem. And yet, I’m the “techy” person in my family. I’m the one my mom calls when her computer freezes up or when the wifi goes down. I’m the person my dad calls when he has a question about the newest money sharing app. My parents are complete opposites when it comes to technology. My mom does not embrace technology and tends to shy away from it. As technology becomes much more complicated with all the new apps and devices, she is getting weary of all of the payment apps, or the cloud, and even communicating via text message. My dad, on the other hand, embraces technology in every shape, size, and form. He’s always into the newest gadgets, latest apps, or recent features updates and stays on top of the latest tech trends. Even though both my parents have completely different approaches to technology, I needed to find a way to explain how they can keep their devices safe from online security threats. Again, this is somewhat of a difficult task given I am not a super technical person. However, working in the tech industry and being around super technical co-workers, I have picked up a few tips to protect myself from online security threats and be able to better articulate the precautions to others. My mom has an iMac and has managed to get multiple viruses on it. Though nothing serious has resulted from these breaches, it means I’ve had to teach my mom how to protect herself when looking at emails. The first thing I told her is to use passphrases rather than passwords for all of her online accounts. Passphrases are longer than passwords but easier to remember, so she doesn’t have to write them down (a security concern in case anyone broke into her house). 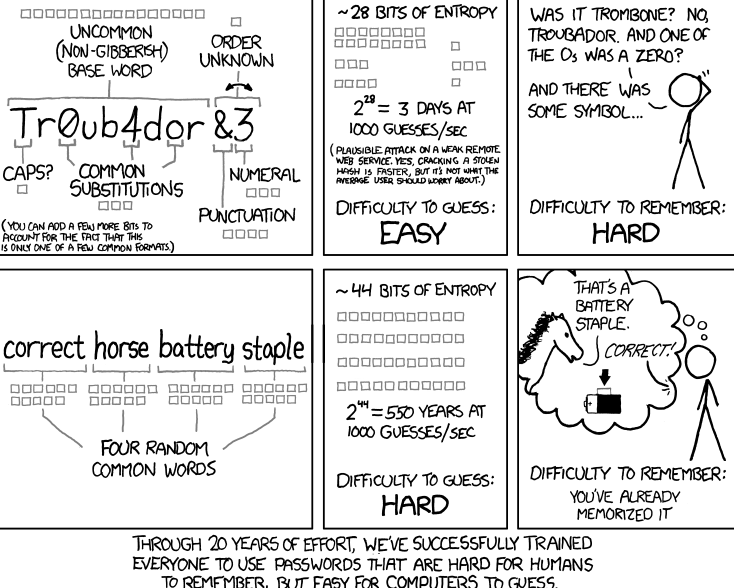 You can learn more about why passphrases are better than passwords here. The second thing I’ve taught her is to be aware of online security threats received via email. If she receives an email from someone she doesn’t know, I’ve told her to treat it with caution. Especially if the email is asking for her to click on a link, download an attachment, or provide information like passwords, addresses, or phone numbers. If the email is asking for personal information that is a huge red flag and should immediately be reported as spam. If the email comes from someone she does know, I’ve taught her to think critically about why they would be asking her to click, download, or provide information. The best course of action is for her to contact the sender through an alternate means of communication and ask if the email is legitimate. I have also taught my mom to look for links and downloads within the body of the email. Instead of clicking on links without hesitation, she now knows to hover her cursor over the link first. A small rectangular box should appear in the bottom left-hand corner of the browser window which shows the full URL (in browsers other than Chrome, a pop-up box may instead appear containing the full URL). Read this URL and make sure it makes sense and matches what the link and the body of the email says. The policy I’ve laid out for her regarding attachments is to not download an attachment unless she knows who it is from AND it’s something she is expecting. My dad loves his phone and is always on it – he uses it more than his computer. He loves how technology has made his life easier and eagerly jumps on new apps for ride sharing, transferring money, paying for parking, you name it. While I’m glad to see he’s not shying away from new technology, it worries me that he’s compromising his security by downloading a ton of free apps, accidentally clicking on malicious ads, and not protecting his phone as well as he could. Here are a few tips I’ve given my dad to help keep his phone and information safe. The first tip is to password protect your phone. It may seem obvious, but many people value convenience over security and enable “smart unlock” features that make it so phones don’t require a password when connecting to trusted networks such as his home wifi or car Bluetooth. Turning these features off, so devices require a password 100% of the time is a small step toward being more secure. Another security threat to be wary of are random free app installs. There are some fantastic free apps out there, but there are also a lot of bad ones. I tell my dad to vet apps before installing them and to make sure they are from legitimate, verified sellers. He does this by reading reviews from multiple sources. Also, if an app asks for permission to use his camera, microphone, etc, I’ve advised him to think critically about why that app would want that access and only agree if he believes the app seller to be trustworthy. One vital piece of advice I’ve given my dad (mainly because he is a tad forgetful and prone to losing things) is to download an app or use the phone’s built-in features that allow it to be tracked, locked, or wiped if it’s lost or stolen. The app he uses is called Find My Device by Google LLC. It allows him to locate his phone if he’s lost it in his house by causing it to make a sound as well as lets him track his phone and in the worst case scenario, wipe it if need be. And last but not least, I’ve told my dad to be wary of open wifi networks. He does a lot of work in coffee shops, so he connects his phone to various networks all the time. I’ve told him to only connect to networks he trusts such as Starbucks’ free wifi and even then, never access banking websites on public networks. Even though I’m not super technical, a lot of these things come naturally to me because I was raised on computers. It is also super helpful that SparkPost does security training once a year! My parents are in their sixties, and the only computer training they ever had was typing! At first, I thought all I needed to do to keep them safe from online security threats was to make sure they had secure passwords in place. But now, with the ever-growing plethora of scams out there, I’ve realized the importance of teaching them how to protect themselves. If you’re not super technical, and your loved ones are even less so like mine, I hope these tips will help you keep them safe out there in the online world. There are a lot of myths going around about email security in the cloud. We're debunking them and sharing tips for better security measures.